We usually do something new and different each Halloween. 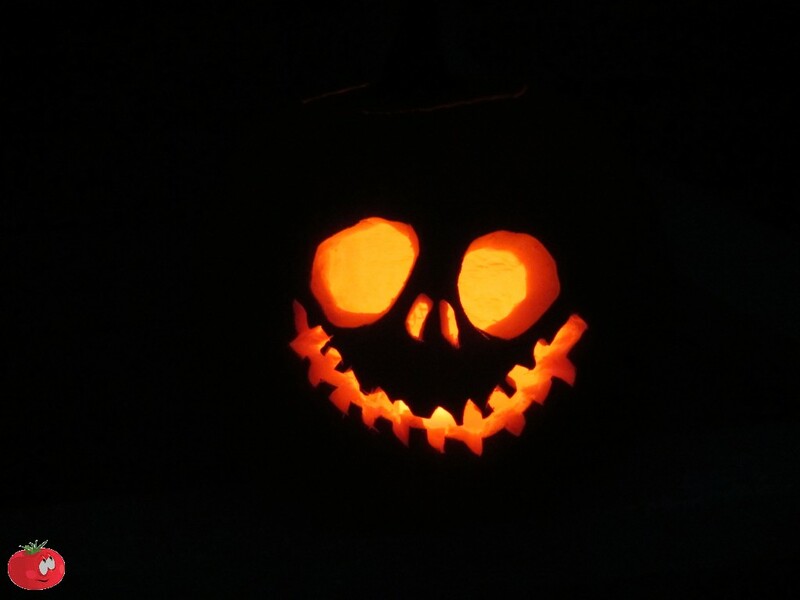 Last year, I painted a large pumpkin with blackboard paint and let the kid’s sign their names on it when they came up to the door to say ‘Trick-or-Treat’. It was a big hit. 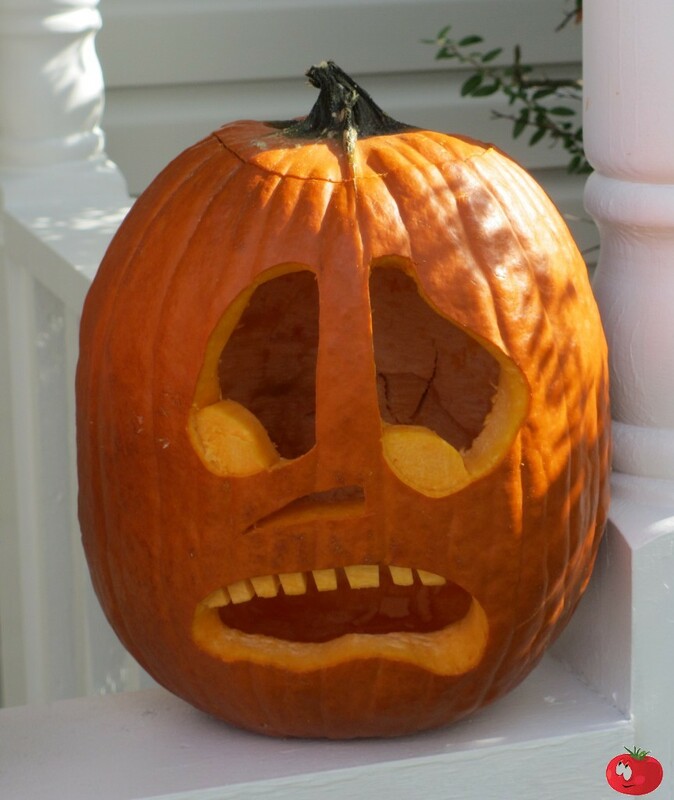 This year, we’re trying out a self-serve Halloween pumpkin full of suckers. 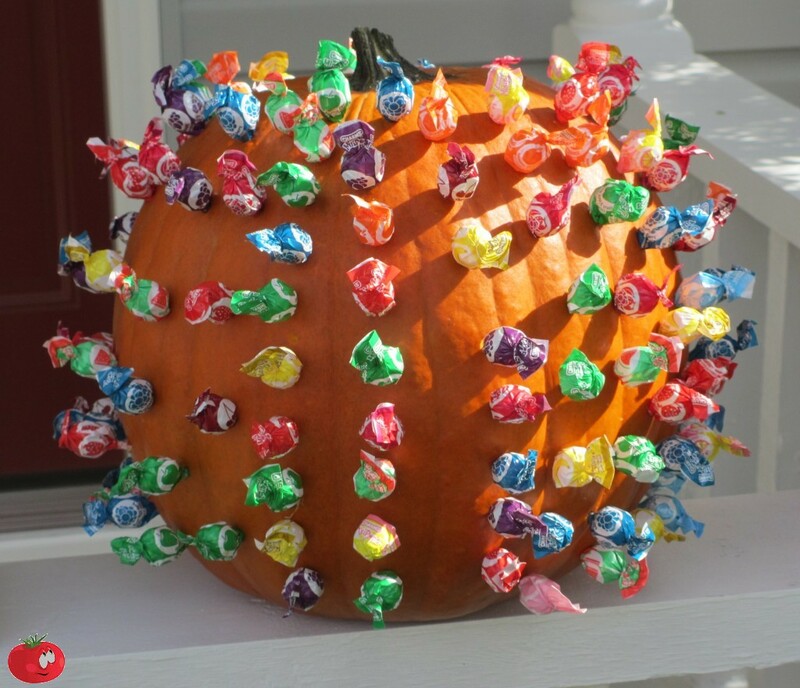 You just take a pumpkin, clean it out, and drill small holes into it at a slight angle so that the lollipops don’t slide out on their own. Let the pumpkin dry for a day or two then insert lollipops into the holes. 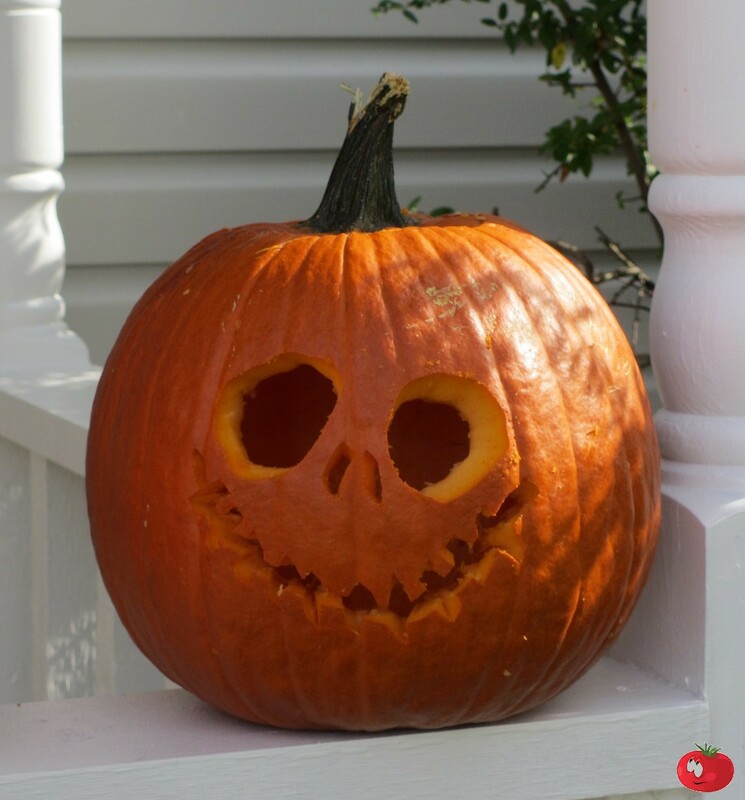 Place by your front door and you have a self-serve trick-or-treat pumpkin! We found that the kids absolutely loved the idea, and we didn’t have any problems with anyone “going to town” and taking armfuls of candy (we live in a great neighborhood). Here are the pumpkins we carved this year. 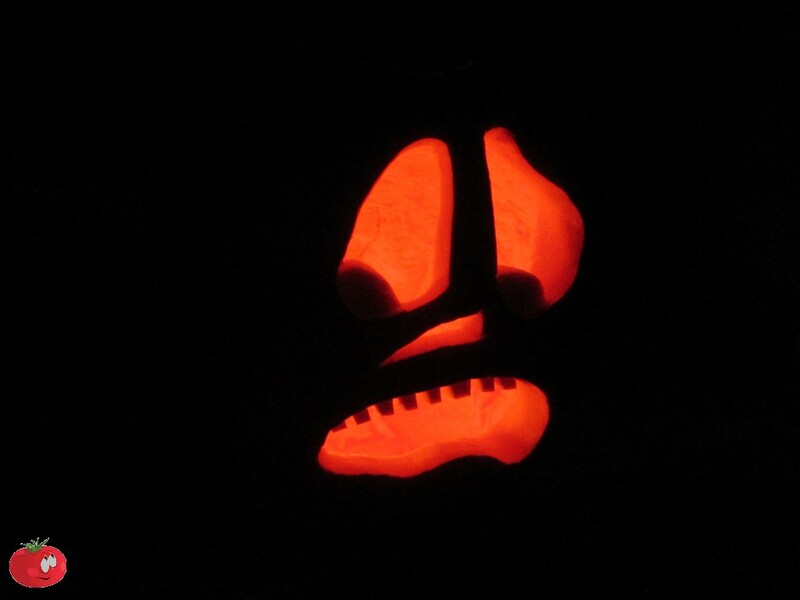 Anita and I always carve up a few pumpkins. It’s a fun thing to sit around doing the night before Halloween. Halloween is and always has been one of my favorite days of the year. If the weather is nice we’ll sit out on the porch and hand out candy to the kids… except when we’re using this self-serve version! If you end up with leftover lollipops, use them to make my sugar cookie Dum-Dums! PS: I like to roast my pumpkin seeds on Big Easy! They’re crazy delicious! This entry was posted in Other Stuff and tagged candy-filled pumpkin, halloween pumpkin, lollipops, self-serve, Self-Serve Halloween Pumpkin, self-serve pumpkin, trick-or-treat pumpkin by Mike. Bookmark the permalink.